« My 2008 Ideas for LinkedIn Are Still Good: Maybe Google+ Will Do Them. It hasn’t even been a year since I suggested things might not go swimmingly for WebOS and now they’re discontinuing it. 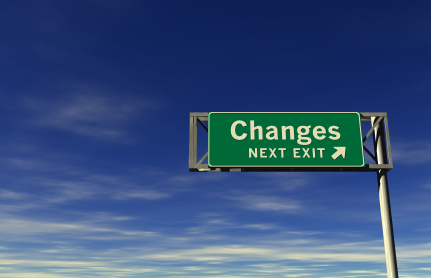 Such is the life of products at large organizations when directions are being changed. Apparently they’re also planning to disgorge the PC business. Shades of IBM’s moves not so long ago. For those watching from the outside, and for many watching inside, it all must seem tremendously wasteful when big companies operate this way. What’s the cause? How can they prevent these things from happening? First, Big Companies like to act, well, “Big”. Some are smart about testing, but for many, they invest a ton in a product and launch it with great fanfare without ever having validated what was going to happen before the money was spent. Even when they do validate, careers and aspirations ride on these things. Divisions do not go softly into that good night. For many, the plan may be to launch it and figure out the problems later. That’s not a bad idea, BTW. It’s Agile thinking at its best. But you should at least try to launch something that is close enough that minor tuning is likely to succeed. Slow following an Apple Uber Product is not a strategy that has shown a great deal of merit. Second, Big Companies are all about Big Personalities. Some executive somewhere made the decision happen. The skills and qualifications needed to make a Big Organization do your bidding are political. They don’t necessarily have anything to do with whether the decisions being made are great product decisions. The market will provide the answers to those questions, and careers may be made or broken, but in the end it’s about the ability of the Executive to get the organization sold on the idea more so than selling it to the market. Third, any time the CEO changes, particularly with a change like this one, the critical underpinnings and foundations that kept earlier decisions going may either be weakened or eliminated entirely. For truly huge organizations like HP, even executives in the first level or two below the CEO, or major reorganizations can signal these changes. Following the change there will be a period of turmoil during which all bets are off. Whatever bad things that happen will be blamed on the prior regime, making it that much easier to put huge changes through. And once again, the changes will be more a function of the political prowess and position of those driving the changes than on their market viability. Shareholders have to hope that whoever is doing the deciding didn’t get there without knowing the market pretty well, but they don’t necessarily have much hard evidence of that. It’s an act of faith. The bottom line is we shouldn’t be too surprised about all of this, and certainly not shocked. Look around. We’re in a time of Big M&A. The stars are well aligned. The Economy puts pressure for change on everyone and Big M&A is the favored tool of large organizations for creating Big Change. It will be interesting to see what sorts of similar fallout we see from the Motorola-Google merger. Another corollary is if you are a customer, beware betting on some company’s Big New Idea when times are tough. There may be a Big Change just around the corner waiting to upset the apple cart. We’ve seen recently changes were produced by Bad Quarters at Cisco. Big Company customers have to be wary of Big M&A, Big Executive Change, and Big Bad Quarters. This entry was posted on August 18, 2011 at 8:24 pm	and is filed under business. You can follow any responses to this entry through the RSS 2.0 feed. You can leave a response, or trackback from your own site.